The Little Mermaid is a Disney animation movie. The story is based upon the well known story written by Danish writer Hans Christiaan Andersen. The movie appeared in 1990 in the cinemas which is some time ago, however the movie and the Little Mermaid are still loved by many kids and adults. The main character in the hit movie is Ariel the Mermaid, she is a young and beautiful mermaid. 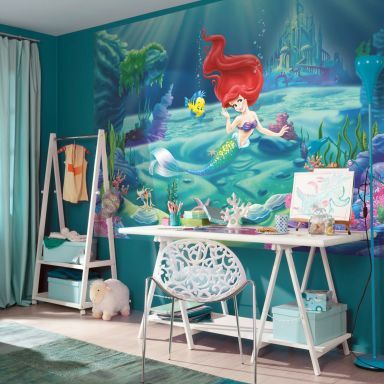 The Little Mermaid can still be seen in Disneyland, cartoons and on various merchandise products by Disney. 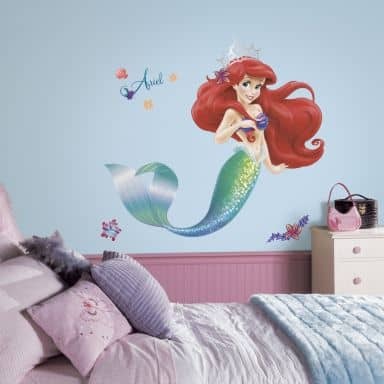 At wall-art.com you can order wall art stickers from the Little Mermaid. They are a fun wall decoration for the room of a young girl or yoour baby daughter. 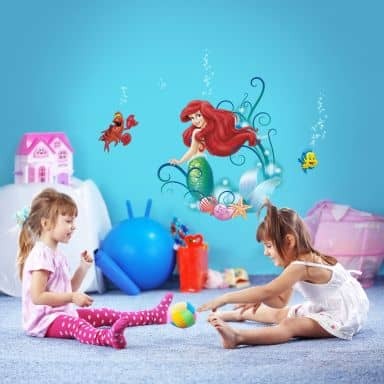 You can easily apply each wall sticker on a smooth surface, such as a smooth wall, smooth wallpaper, a door, furniture and whatever else is smooth. 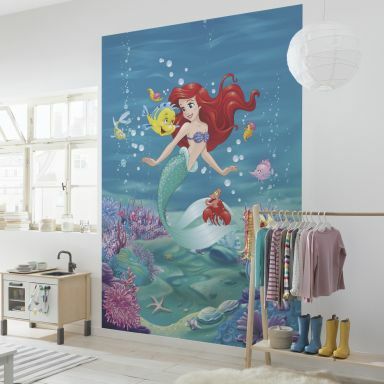 The good thing is that these fabulous wall decals are also easy to remove. So, you can change the look and feel of the kids rooms in a heartbeat.